WASHINGTON — The Department of Veterans Affairs won’t be hurt as much as many federal agencies in the event of a partial government shutdown, but officials are warning there still will be some disruptions for veterans. About 4 percent of the department’s workforce — nearly 16,000 workers — would be subject to furloughs during a shutdown, with almost half of that total coming from the Veterans Benefits Administration. Checks would continue to be sent to veterans eligible for VA payouts, but education benefits assistance programs and case appeals work would be temporarily shuttered. Those impacts were first laid out by department officials last August, before the first in a series of four shutdown threats over federal spending in the last five months. Lawmakers are scheduled to vote Friday on another short-term budget extension in an attempt to avoid a shutdown and keep government operations uninterrupted until mid-February. Despite the extended budget impasse on Capitol Hill in the last year, lawmakers have avoided triggering a shutdown since the 16-day partial closing of government operations in October 2013. Following that closure, veterans groups convinced lawmakers to offer advance appropriations for most VA offices to ensure that veterans health and benefits programs were not disrupted by future political infighting. As a result, most of the department’s 377,000-plus employees won’t be affected by a partial shutdown. 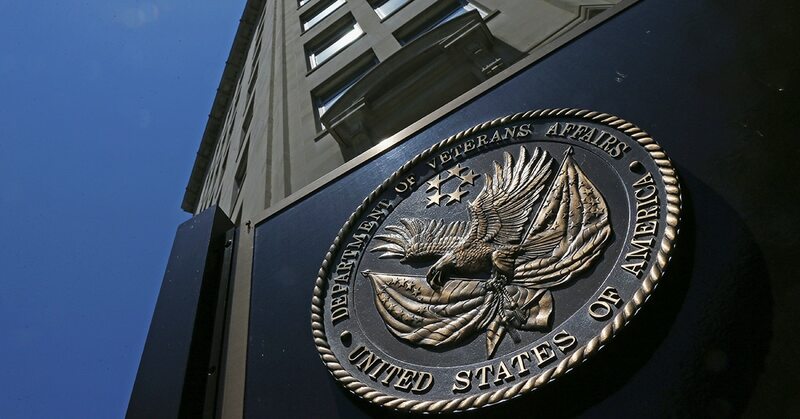 VA officials said only a small number of Veterans Health Administration workers will be temporarily sent home, and none of them deal directly with patient care. Some transition assistance programs would be shuttered during a shutdown, as will non-essential call centers. But the department’s suicide prevention hotline would remain operational. Most VA cemetery services will continue uninterrupted, but administrative work “not directly in support of burials” would be halted. Processing applications for Presidential Memorial Certificates would also stop. One of the most significant impacts would be on top leadership at the department. Currently, the Office of the VA Secretary employs 80 individuals. All but eight would be furloughed during a shutdown. In addition to the 16,000 workers who would be furloughed, nearly 28,000 would be required to report to work without pay. In the past, those employees have received back pay once the new budget is reached. The remaining 335,000 employees’ pay would continue uninterrupted, thanks to the advance appropriations passed by Congress in 2016. The full list of effects of a government shutdown on VA is available at the department’s web site.